Large motor activities are so important – especially in the winter months when you feel like you’re stuck inside all day. 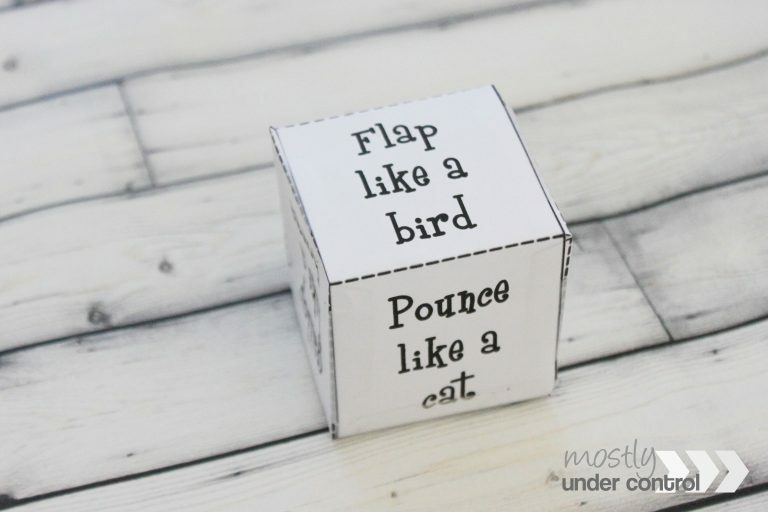 Grab this animal action dice printable and get to moving! 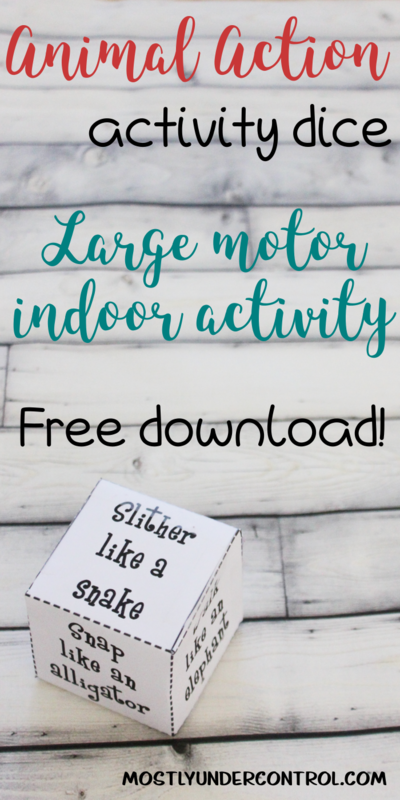 My kiddos love large motor activities and I love easy large motor activities so this one is a win/win for us. 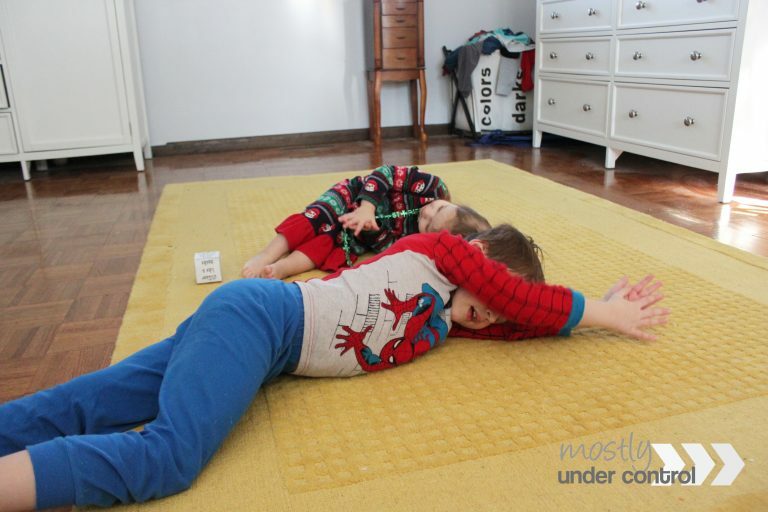 They love acting like animals (making their movements and sounds) so I figured this activity would be perfect for us on a “stuck inside” day. My 2 year old and 5 year old both loved it which is also a win/win because we can all stay busy at once. 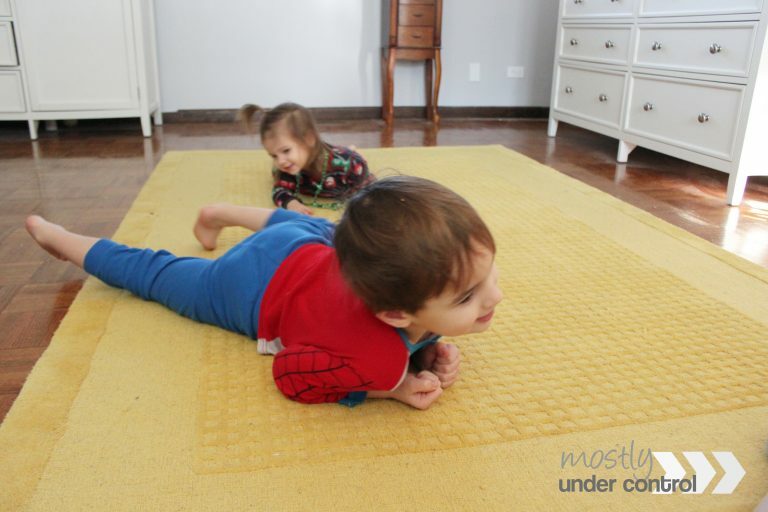 I had the kids take turns rolling the animal action dice (because I always try to work on as many skills as possible when doing these activities!) and we definitely need to be working on turn taking with the 2 year old. Yikes. It took a little pushing to get my 2 year old to do it (for whatever reason. I function a lot better if I don’t try to figure out why or why not she does certain things) but my 5 year old was all over it. Grab your free downloads here! Putting it together is super easy, and you can see a quick video on my Facebook page. All you need is the paper, scissors and tape. Grab your phone or computer and search for a random fact about the animal that comes up.